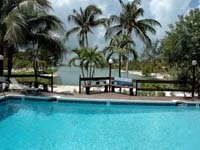 Cayman Kai vacation rentals in Cayman Kai: Specializing in Vacation Island Houses & Villas Rentals, Rental & Property Management and Investment Properties in the Cayman Kai/Rum Point area, Grand Caymans, Cayman Islands. Quality Accommodations, Information, Discounts and Insight on Grand Cayman! 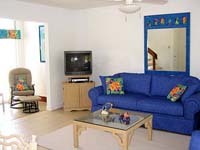 In addition to offering the highest quality vacation accommodations, I feel I have many years of experience and information to offer you about Grand Cayman and the Cayman Kai area, since I have been the recent previous owner of "Barefoot Lagoon"-Island House, which was one of the most successful rental property in the Cayman Kai area. 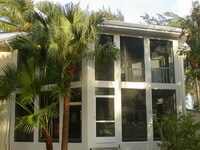 I know personally each owner and have been in each property that we offer. Also, we supply you with "Discount Airfare", "Discount Automobile Rentals", along with information and insight on all of the many "Thing To Do" and "Restaurants" available to our guests on Grand Cayman. We also specialize in "Wedding and Honeymoon Packages". *Cayman Government Tax of 10% not included. ***Rates include Maid Service every other day. 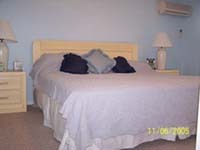 ***Rates include use of all amenities listed. Located in a protected lagoon on the Caribbean Sea in the heart of Cayman Kai and right across the road from the Famous Rum Point Beach on the north shore of Grand Cayman, these Island Houses are ideal for a family of up to six people or for one, two or three couples. These Island Houses features a living room, dining room, music/office room, fully equipped kitchen, laundry room with washer and dryer, two story screened lanai, two bedrooms with their own private baths and balcony's over looking the pool and a lagoon with dock to enjoy. 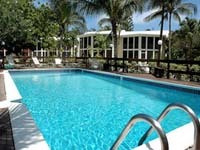 Cayman Kai vacation rentals in Cayman Kai - Cayman Kai vacation rentals vacation rentals in Cayman Kai: Specializing in Vacation Island Houses & Villas Rentals, Rental & Property Management and Investment Properties in the Cayman Kai/Rum Point area, Grand Caymans, Cayman Islands..